During the week, I try and eat healthy as much as possible because I know that when the weekend comes I won't be able to say no to all the goodness that restaurants offer. I have many friends who are able to eat at a restaurant and order a salad, hold the sauce; pastrami sandwich, hold the cheese..etc. I just can't follow that rule. (And I am even lactose intolerant!) This past weekend was NO different. I started off the weekend with a low carb diet - sushi. (I am kidding people. 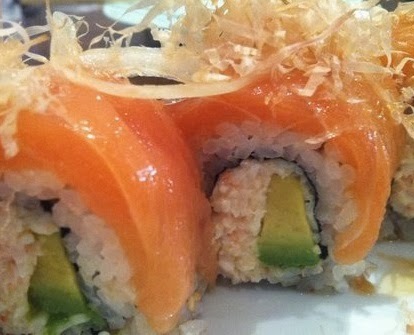 I just recently learned that a sushi roll is as bad for you as a white bread - thanks Alex - but that won't ever stop me.) Because it was Valentine's Day weekend, I decided to splurge and went to a new place called Sushi Sankai. We ordered a sashimi poki salad, a roll, and a sashimi plate. The price came to $50 - steep for normal occasions, but fairly reasonable for sushi. Thoughts? 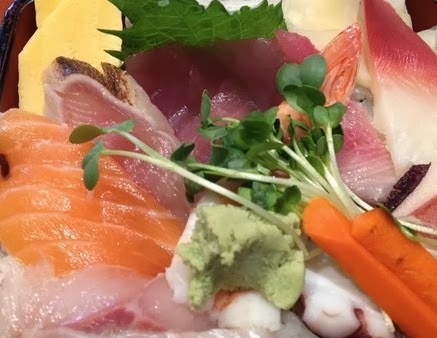 EXTREMELY fresh fish, especially the hamachi (yellowtail) and salmon. Unfortunately the tuna was a bit hard to eat; the texture just didn't make it very edible. But I would recommend for a nicer dinner with parents, a date, or if you are a balla' shot calla' - then everyday obvi. Later on that weekend I tried something different - Korean. 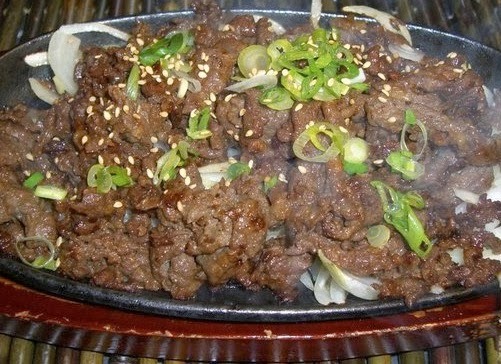 I have had lots of Korean BBQ places, but don't stray from the meat. This restaurant was more of a Korean fusion type place. 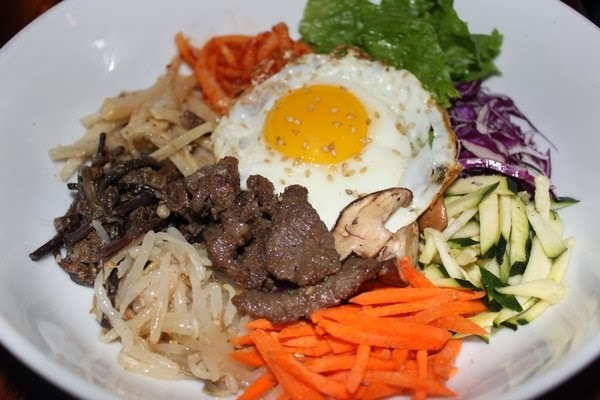 Hashigo Korean Kitchen surprised me. It was mild and tame enough for this white girl, but it offered a lot of variety and spiciness for others. I tried the tofu stew, which was surprisingly good, and I even ate some Kimchi! But the best thing that I tried were the garlic chicken wings. Finger lickin' good! The tacos were just okay... They also have a Korean burrito that I want to go back for. The last stop on my International Tour of Orange County was a Peruvian restaurant next to Sushi Sankai (we traveled far this weekend) called Inka Mama's. 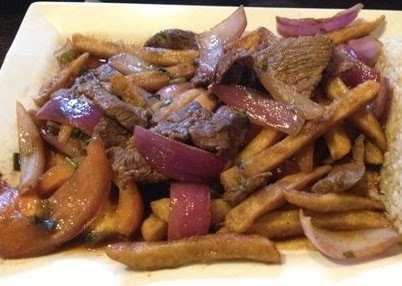 I have never had Peruvian food before (besides Picca, but that was just sad), and wasn't quite sure what to have. I was surprised to see that a lot of the dishes incorporated french fries. I decided on a chicken-veggie dish and was pleasantly surprised. It might be located in a lot across from South Coast, but its definitely a "must try" place! Labels: Best of Series, Best Seafood, Costa Mesa, Lunch Time, The Weekend Update, Weekend Wrap Up, What's for Dinner? There is also a nice Inka Mama's in the Aliso Viejo Town Center. It is family owned using Mom' s recipes. Sit at the bar in the back for some one-on-one service. Love it there. It's pretty good right? I think they are so nice at the one by us. Let's plan a fun lunch date next weekend near you, any suggestions? Time for a day trip to Dana Point!